Making modifications to home environments helps the elderly and people with injuries or impairments adjust their lifestyle to improve their health or speed recovery. 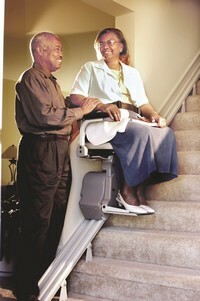 The American Occupational Therapy Association states that “occupational therapy can provide clients with the tools to optimize their home environments relative to individual abilities and promote full participation in daily life activities.” Occupational therapists are able to evaluate environments for energy conservation, safety and any issue that may prevent people from performing tasks optimally and independently. For example, based off of evaluation, an OT may recommend changes in home layout, furnishings, products or hardware controls. Extra handle bars on the appropriate walls surrounding a bath tub may be necessary to help someone lift and balance as they steps in and out. Loose banisters or overloaded electrical outlets may also be remedied to improve the health and safety of a house. For more tips on home modifications from the AOTA please click here.